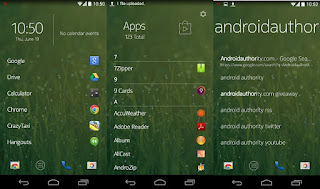 Android launcher apps have long been an integral part of the Android experience. If you don’t like the way your home screens look or act, you can simply download an app to change all of it. There is no doubt that Android launcher apps have a far more diverse set of features than any other genre of application and you can really do some amazing things with these apps. Let’s take a look at the best ones! 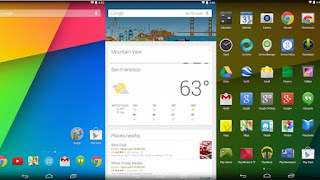 Google Now Launcher is the the go-to launcher for fans of Google and Android. It is essentially the stock launcher experience with built-in Google Now. It features simplicity, “Okay, Google” hotword integration, translucent theming elements, and more. It’s not overly powerful or customizable, but it is slim, quick, and built-in Google Now is a must have for Google Now fans. It’s a great launcher that doesn’t use a lot of resources and this is what Nexus owners see when they turn on their devices for the first time. Launcher 8 is a unique launcher because it looks nothing like Android. 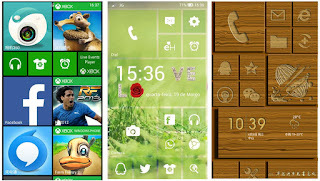 In fact, this launcher’s sole purpose of existing is to make your phone look like a Windows Phone. Using this, you can convert your widgets into Windows Phone style live tiles and create virtually the same experience you’d find on Windows Phone, but with Android instead. It also comes with a handful of other features making it a very solid Android launcher app. Next Launcher is among the most unique Android launcher apps on this list. It also happens to be developed by the GO Launcher developers so you know there’s some experience there. Next Launcher features a 3D style home screen layout that utilizes a scroll tab on the right side to quickly switch to any home screen you’ve created. It also features unique icon layouts, themes, a unique set of widgets (separate download), and those who pay for the app will get a lot more. You can also pick it up for cheaper than the list price if you buy it using the in-app purchases of the free version. 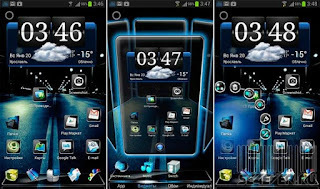 Z Launcher by Nokia is last on our list and this is one exceptionally minimal launcher. It features one home screen, an app drawer, and then an area where you can actually write out what you’re looking for. It’s a unique premise that’s great for those who enjoy something more minimal and slick and those who don’t need anything complex. It’s still in beta, but surprisingly stable and a worthy option. Check out our hands on video below to see exactly how it works!